If you're like me, you like to plan and prepare. Prepare to make a plan. You prepare your whole high school career to get into a good college. Prepare your whole college career to land a good job. Prepare for your boyfriend to pop the question. Prepare for the wedding. Prepare to be financially ready to buy a house. Prepare to have a baby. But no matter how many blogs you read, friends with babies you talk to, or romantic comedies you watch, nothing can ever really prepare you for seeing that faint hint of a line on a little plastic stick that translates to---hey, this is really happening, you prepared? Well, that happened this morning. But, I digress. My mom has been dying. DYING. for us to get pregnant. Not in that subtle hinting way, like 'Oh, you look so comfortable holding that baby.' 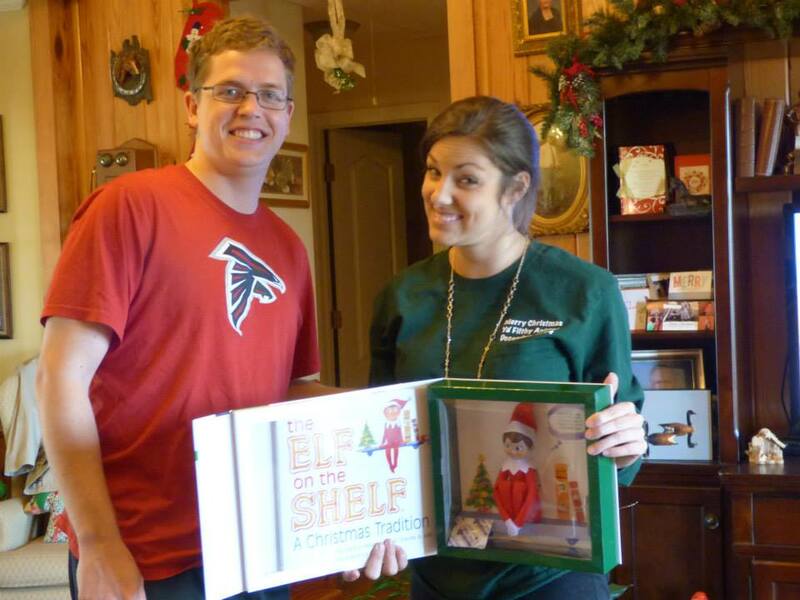 More like, 'I got you an Elf on the Shelf for my future grandchildren! '...two Christmases ago. TWO. So, as repayment for all of the nail polish I spilled on her carpet, the hours spent at my dance recital practices, the Mother's Day spent in the emergency room when I broke my arm, and the overall sass she had to endure through those glorious teen years, I figured this blog would pretty much make us even. So back to the point. The pregnancy test. It's positive. I tested while my husband, Austin was out jogging. I freaked for a solid 10 minutes while googling everything related to 'positive pregnancy test' you can imagine. Seriously, even the most simple pregnancy concepts I can't seem to grasp without Google confirming. 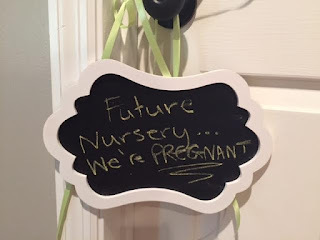 'Yes, if the pee stick says 'pregnant' you are pregnant...' Then, I realized (back to the preparing...) Pinterest had told me it would be a cute idea to tell him over a game of Scrabble. Spell out the words 'im pregnant' or something like that. Well, I figured a game of Scrabble at 8:30AM before he starts work, and I head to the gym seemed like he would probably sense something was up. Plan B is, I have no Plan B. But fortunately I had a chalkboard and some string. Conveniently, we had a meeting already booked with our financial adviser around lunch that day. The preparer in me was shocked when our adviser told us we have to have actual children before setting up their 529 savings accounts. Minor details. On to day two of pregnancy...thank God for Google. And also for trusting me with this little nugget of a human to grow.